I can’t believe that it’s already the middle of September, which means there are only a few more weeks left of A*Muse A*Palooza,, which wraps up at the end of this month. The awesome, extra hostess benefits for A*Muse A*Palooza end September 30, 2011, so there is no better time to host a workshop or place a workshop order ($150+) for these fabulous benefits, including a free, exclusive stamp set and free products you select. You can download a 2011ASHolidayCatalog to look through. If you want to schedule a workshop or place an order contact me. I am hosting a workshop along with Jeanne Blanney, a Creative Memories consultant on Sunday, September 25, 2011. Learn how to combine stamping and scrapbooking in new creative ways. There will be a make and take, door prizes and special discounts during the Open House. The details are here on my Facebook page. Drop me a note for more information. Feel free to stop by and bring a friend. Hope to see you there. If you are visiting my blog today as part of the Inky Fingers’ a•muse | studio Autumnal Splendor blog hop, welcome, so glad you stopped by. You should have come from Pamela’s blog. If not, you should start from the beginning with Liz’s blog until you come to my blog. Hasn’t it been fun seeing everyone’s take on Autumnal Splendor? What inspiration. In the midst of Autumn, comes Halloween and you can’t have Halloween without a witch. For today’s card, I used goodies from the 2011 a muse| studio Holiday and Inspiration Catalog. I just love this witch from the a•muse | studio creepy hollow exclusive stamp set and I couldn’t wait to get my hands on her. I stamped the witch onto Sleepy Hollow paper using Memento black ink and then used my quickie glue pen and covered her with our new onyx glitter. I let that dry for a few minutes and then I fussy cut her out and popped her up using foam tape. I love glitter and always say, you can never have too much glitter. My card base and the moon is our pumpkin card stock. 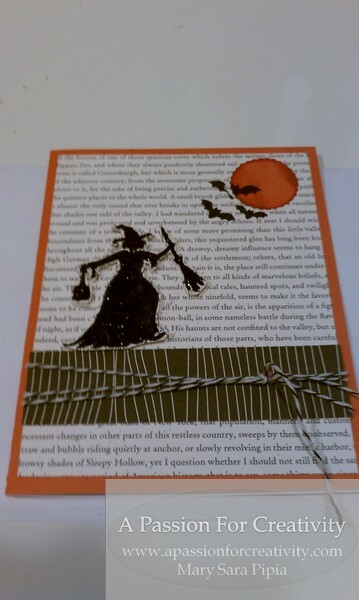 I also love our new Sleepy Hollow paper and cut a piece of that slightly smaller than my card base, 4″ by 5 1/4″ and flat adhered it on top of my pumpkin card base. I used a 1″ circle punch for the moo. Did you know that a full orange moon is considered a Harvest moon. Have you ever looked up in the sky at night during the fall/winter and saw a full moon that looks orange? I used our orange and currant inks and inked them on the outside of the moon to give it some depth. I adhered it to the card and then stamped the bats, from our to cute to spook stamp set, off the moon. I cut a one inch by four inch strip of our new slate wood grain paper and tied our onyx baker’s twine a couple of times around and tied it in a knot and left a tail. I used a mini pop dot behind to hold the knot onto the card. If you use a little pop dot behind the ribbon it helps hold it. Thanks for that tip, Liz. I then flat adhered it to the sleepy hollow paper. You can find all the products I used on this card and others, on my web site. This concludes our Autumnal Splendor Inky Finger’s first team blog hop. Thanks for stopping by and hope that you enjoyed it and got some inspiration. Remember, do something creative today. I’m a bit behind in blogging right now, so thank you for checking back and bearing with me. I did try to blog with my iPad when I was stuck in my hotel room, but couldn’t get on. So what did you do for the end of the summer? For the first time in many years, I took a two-week vacation from work and went on vacation the end of August. I actually packed a suitcase and got on a plane this time. The week I was gone both an earthquake hit the East Coast and then Hurricane Irene. You could say I picked a good week to be away but then I then got stuck in Phoenix for an extra three days due to Hurricane Irene. I can hear you asking, what was I doing in Phoenix in August with temperatures of 115 degrees and a cool 90 degrees at 9 p.m. at night? Several months ago, two of my friends from my monthly crop group and I decided to go to Creative Escapes 2011, since this was going to be the last one. I couldn’t believe it was in Phoenix in August, where it averaged 100+ a day that month, but we were so excited to go. I will be sharing some of the inspiration that I got at the workshop in future posts. Before heading to Phoenix though, I went to California to visit my father. It had been several years since I’ve been back to Pasadena and the weather couldn’t have been more perfect. Gave me pause, to think. Hmm, cold, freezing winters with piles of snow and hot, humid summers or the warm, sunny skies of California. Food for thought, if I was ever to decide to leave New England (given I’ve been here for 25 years, it’s not likely I will). I was only there for a couple of days and wished I could have stayed a little longer, but it was nice to visit with my dad and a chance to catch up. I also went to lunch one day with my mother’s really good friend and her daughter. While in Pasadena, I was able to have brunch with two of my high school classmates that I had reconnected via Facebook over the last year or two. It was so much fun to see them and catch up on the last 20 plus years of our lives. We had brunch at Green Street Restaurant in Pasadena and then did a little shopping in Old Town Pasadena. I was staying with my dad, and he made dinner that night, a nice way to end a Sunday. While there, I stopped by and saw the house were my family lived for over 10 years and it had changed or maybe I had changed? I think it was a bit of both. I drove by my old high school, which ironically, is around the corner from where my father lives now. It too had changed from when I went there years ago. So, when was the last time you went on a vacation or trip and gone down memory lane? Are things the way you remember them or not? I think that as we get older, memories mellow and you feel a bit more nostalgic, don’t you agree? Okay, so that’s part one of my vacation. Stay tuned for part two this week. Fun stuff going on with A Muse Studio right now as well. A Muse A Palooza is in full swing right now through the end of September. More fun, inspiration on that later this week and please come back on Saturday when I’ll be participating in an inspiring Inky Fingers team a muse | studio fall blog hop with lots of fall inspiration. In the meantime, please feel free to visit my A Muse Studio web site for inspiration and to order. Feel free to contact me with any questions or information. Remember, do something creative this week. Just a reminder that this Sunday, August 14, 2011, A Muse Studio will be in Nashua, NH. What a fun way to spend the afternoon in air conditioning while getting crafty with Linda Hartwich, the Founder of A Muse Studio. All the details and how to register can be found on my web site . Get a couple of girlfriends together, take a ride and spend the afternoon geting creative. Send me an email with any questions and to let me know that you will be there so I can say hello. Hope to see you there. You may have heard by now that a•muse | studio has announced A*MUSE*A*PALOOZA 2011, beginning August 22nd and running through September 30th. If you haven’t seen the new 44-page 2011 holiday supplemental catalog yet… you will not be disappointed. The new additions include custom stamps, fun paper and products for Halloween, Thanksgiving, Winter/Holiday, and Valentine’s Day. You can’t order from the 2011 holiday catalog until August 22, 2011, but you can start your wish list early. Want a copy of the catalog? I’d be happy to email you a PDF version. If you’d like one, please email/contact me. 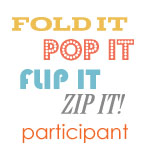 During A*MUSE*A*PALOOZA (8/22-9/30), I can not only offer you fun projects using a|s’s beautiful new products, BUT ALSO increased, even more awesome hostess benefits! If you’ve been toying with the idea of hosting an a•muse | studio workshop… let’s talk and get a date on the calendar! I am also holding several fun A*MUSE*A*PALOOZA events in my home. If you’re a Facebook user, you can fan my page, A Passion for Creativity – Mary Sara Pipia, and get all my event details that way! I’ll also post here too. 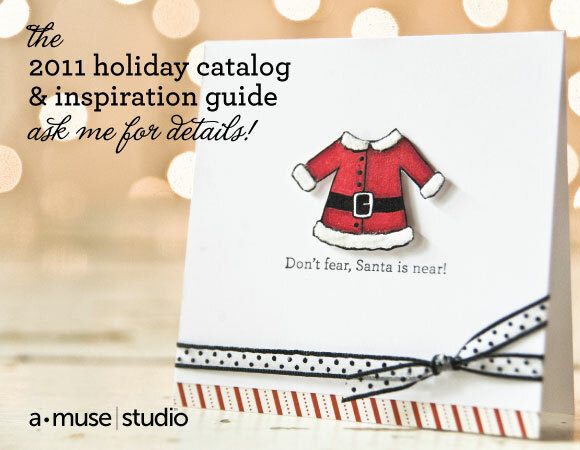 While A*MUSE*A*PALOOZA ends September 30th, please know that you will be able to order from the 2011 holiday catalog through January 31, 2012. The “even more awesome hostess benefits” are only available through September 30th. I can’t believe today is August 1st and that summer is flying by. Are you enjoying your summer? Have you taken a vacation yet? Tonight, I wanted to share with you a couple of ideas from our a|s design team for our July Spotlight, Neighborhood Block Party, which are on sale until August 14, 2011. Take a look at the A Muse Studio July 2011 Spotlight flyer, which highlight the five stamps sets that are on sale and also a fun assorted paper pack, Sorbet, which is item #PAST711. Here are two ideas using our stamp sets, That’s the Ticket and Graphic Sunflower, part of our July Spotlight, Neighborhood Block Party. The a|s stamp set, That’s the Ticket matched with the a|s ticket die, is not just for creating cards. 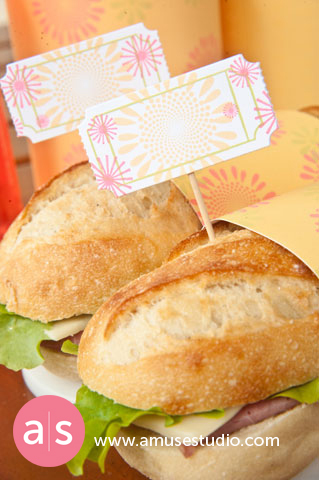 How cute are these sandwich picks, made with the a|s ticket die and stamped with the Graphic Sunflower? Then stamp paper to make matching sandwich wrappers. Wouldn’t it be fun to serve sandwiches like this at block parties, summer picnics and family dinners? Perhaps a ladies luncheon. 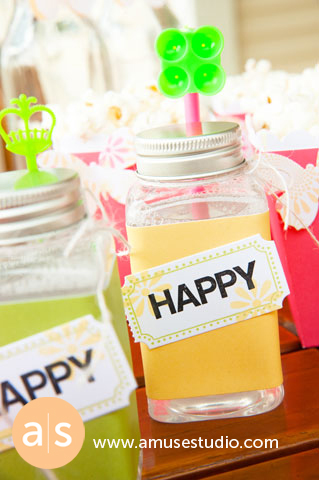 I also love how our a|s design team used the That’s the Ticket along with the ticket die to decorate these jars. Happy is just one option with the a|s That’s the Ticket stamp set. You can also make holiday ones that will be fun to use with the upcoming fall and winter holidays. How fun would it be to create a teacher’s or co-worker’s gift and fill the jars with candies or homemade cookies? Even a centerpiece for a holiday table? Let me share one more fun idea. 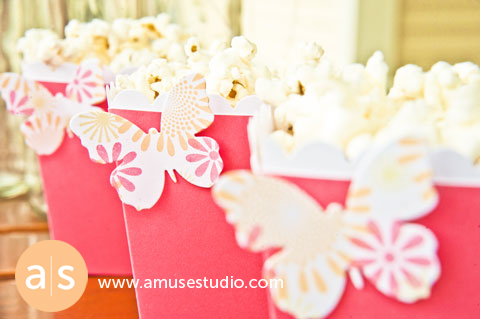 These fun popcorn holders were made with the a|s butterfly dies and stamped with our Graphic Sunflower and made with watermelon paper. Aren’t these fun? How cute would these be for a family movie night or your child’s birthday party for favors? Lots of versatile options. If you want more information about the a|s A Muse Studio July 2011 Spotlight flyer or A Muse Studio, please fill out the Email/Contact Me form and I’ll get back to you as soon as I can. You can also check out my my web site for the details and to place an online order. Remember, special pricing on the a|s July Spotlight, Neighborhood Block Party is available through August 14, 2011. Thanks for stopping by tonight and have a great day tomorrow.